After getting caught sneaking into a pirate hideout, the party starts to wonder what is really going on and what their next move is … once they fight their way out, that is. 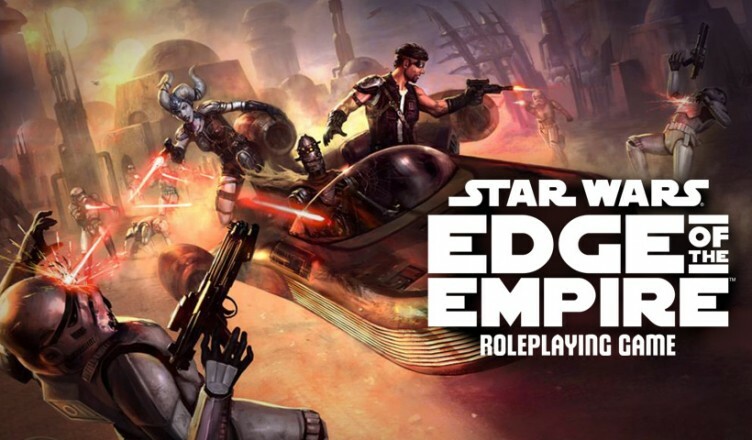 This is the third episode of our live play session of Scavenger’s Feast, for the game Star Wars: Edge of the Empire. Really enjoying this you all! I have a feeling that the WeeQuay Emissary faked his distress call and made off with the goods himself…which makes the PCs raid on the Pirate Lair that much more hilarious! Keep ‘em coming! The distress call was faked by the Black Sun. An average Computer check examining the message would have shown it was doctored (but no one asked for it). I’d be happy to answer any other questions, though I may hold onto some bits of info since they may come into play later.